Previously replacement lamp buyers had been faced with a choice of either buying lamps under the projector brands or buying copy lamps originating from the far East. The projector-branded lamps provided excellent quality but were expensive while the copy lamps were much cheaper but generally of low quality with poor performance and no guarantee of safety or compatibility. 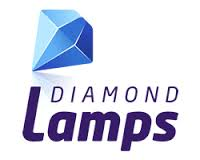 Diamond Lamps, recognising a gap in the market, launched a new category of lamps with a commitment to reducing the cost of projector ownership but without compromising performance quality. This was achieved by forging new relationships with the same original lamp manufacturers used by the projector brands. We began to purchase the lamps directly and assemble them into top quality cages to produce new lamp modules. These modules were all simple to install into projectors and provided the best possible performance in terms of colour, brightness and lifetime. The new lamp category has grown strongly in popularity ever since and Diamond Lamps now produces replacement projector lamps for over 2,600 popular projectors and rear-projection TVs and is distributed in countries all around the world.